In fact, Sub Pop’s business is fine, something Tony Kiewel, Sub Pop’s co-president, attributes to Poneman’s unflagging determination to keep the label afloat against all odds. Since Pavitt resigned from the company in 1996 (he remains a consultant), it’s Poneman who’s undertaken the heavy lifting, pulling the label out of a late ’90s slump, and overseeing its resurgence with a wealth of acts that rival the Nirvanas and Soundgardens of the label’s grunge heyday: the Shins, Postal Service, Fleet Foxes, the Head and the Heart. Sub Pop started out as a fanzine called Subterranean Pop, issue one released in 1979 by Pavitt, who was attending Evergreen State College in Olympia, Washington. By issue 3, the name had changed to the snappier Sub Pop, and the zine’s nine issue run included three cassettes; Sub Pop 5, Sub Pop 7, and Sub Pop 9. The cassettes featured indie acts from the Pacific Northwest and around the country; some who went on to bigger things include Steve Fisk (Pigeonhed, also the producer of Nirvana and Soundgarden, among many others), Calvin Johnson (Beat Happening, and the founder of K Records), and Jad Fair (Half Japanese). 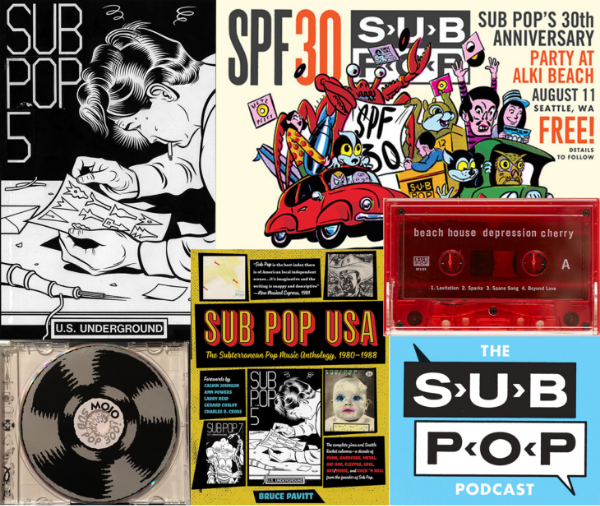 Sub Pop was a collectable label from the beginning; a recent ebay seller was offering a complete set of Sub Pop 1 – 9 for $3499.99 (“or best offer”). Or you could spend $34.95 and pick up Pavitt’s book, Sub Pop USA: The Subterranean Pop Music Anthology, 1980-1988, which reprints all of zines (including the liner notes of the cassettes), as well as all of Pavitt’s “Sub Pop U.S.A.” columns he wrote for Seattle music magazine The Rocket. Pavitt moved to Seattle in 1983, where he used the Sub Pop name for his Rocket column, as well as the name of the radio show he hosted on KCMU-FM. Then came Sub Pop 100, which featured up-and-coming indie acts like Sonic Youth, Scratch Acid, Naked Raygun. But Pavitt wanted Sub Pop’s future releases to focus on the Pacific Northwest, which he viewed as a region of undiscovered talent. Accordingly, Sub Pop’s next records, released in 1987 were by Seattle acts; Green River’s Dry as a Bone EP and Soundgarden’s “Hunted Down” single. Pavitt next teamed up with Poneman, another Seattle immigrant (Pavitt was originally from Park Forest, Illinois, Poneman from Toledo, Ohio), who also had a keen interest in Seattle’s music scene. Poneman borrowed $2000 to help with the release of Soundgarden’s 1987 Screaming Life EP, then put up $19,000 to buy a 50 percent share in Sub Pop. The two young men were now officially business partners. 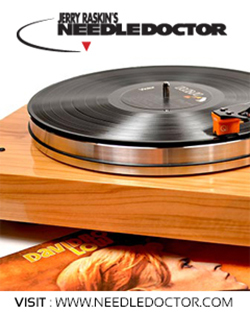 Sub Pop’s founders understood the lure of limited edition releases among collectors, and from the very beginning it was common for the initial run of a record to be released on colored vinyl; the first 600 copies of Screaming Life were pressed on orange vinyl. 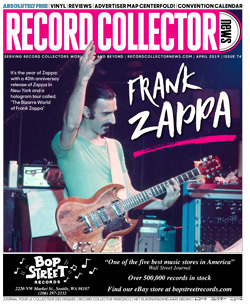 They also created a series, the Sub Pop Singles Club, specifically designed to whet a collector’s appetite, with subscribers paying a fee to get a year’s worth of limited edition singles, without knowing what they were going to be — what Kiewel calls a “genius” way to generate cash flow. The first Singles Club release was Nirvana’s “Love Buzz,” released in November 1988. It’s the record that still commands the highest prices of any Sub Pop release on the collector’s market, selling for over $2000. 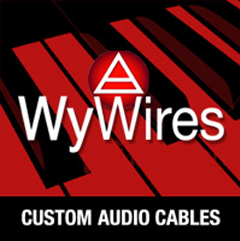 The label also relished making as big a splash as possible with their releases. 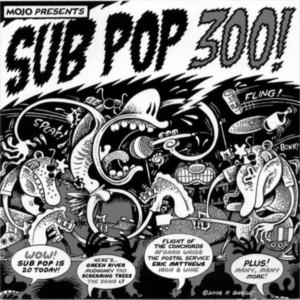 The 1988 Sub Pop 200 compilation, for example, featured 20 tracks that would have easily fit on two albums. But Pavitt and Poneman wisely deduced that it would make more of an impact if the tracks were spread over three 12-inch EPs, packaged in a box with an LP-sized booklet, and pressed in a limited run of 5000 copies. It became the first release to get some substantial overseas press for Sub Pop; a write up in the London Observer by legendary British DJ John Peel. 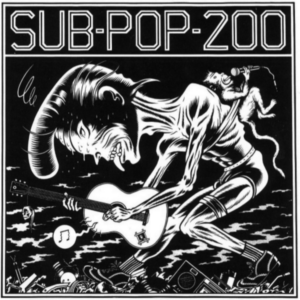 Sub Pop 200 has since been released on CD; vinyl copies sell for around $100.